Been long since I updated the blog. Well I was quite busy and in the same time tired as well. 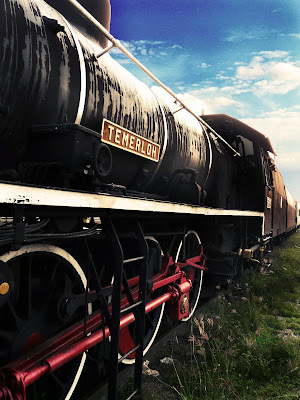 I was one of the very few people who were invited by KTMB as railway-fans to proceed southbound on an express train to connect and to pull a 56-class steam locomotive 'Temerloh' from Gemas Station all the way heading northbound to Seremban. The total operation time for the pulling work was roughly 14 hours. The expedition was very much interesting, I'd say. Despite the long, extended hour, I very much enjoyed the experience despite the fact that I was the only spotter from the Northern region. I will soon update the blog with many interesting pictures from the trip soon as I slowly recover from this extreme exhaustion. By the way I will be back in KL on Friday, May the 28th. My train will depart from Batu Gajah at 4.54am and will arrive hopefully on time, around 7.30am in Sentral Kuala Lumpur.